WILLEMSTAD – In about two weeks the Court of Appeals will hear the Babel case which involves the former Prime Minister of Curaçao Gerrit Schotte and his life partner Cicely van der Dijs. 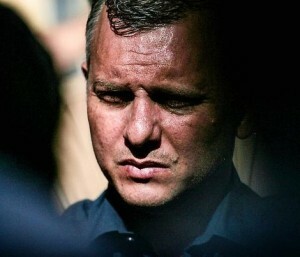 Last year the Court of First Instance convicted Schotte to three years in prison and for five years he will not be allowed to participate in the elections as a candidate. If the Court of Appeals ratifies this sentence, that means that Schotte will not be able to participate in the 2021 elections nor in 2025. This means that if the Government that is formed after 2025 completes its term, Schotte will not be able to participate until 2029. Schotte still believes that what the Netherlands wants to do to him is to make sure he doesn’t participate in the next two elections. He is also convinced that he will be exonerated from all charges by the Court of Appeals. Schotte’s party MFK is still considering the worst scenarios and is already talking about a possible change of leadership. Former Prime Minister Gilmer Pisas is being considered as the new leader of the party. Last elections he received 3000 votes. The party is still hopeful that their leader will be absolved from all accusations.